Designers and manufacturers of electromagnetic mechanical devices, solenoids, chokes, insert-molded assemblies, electrical assemblies, temperature sensing and wire assemblies. An-Mar Wiring Systems is a manufacturer of custom molded products used in small appliances, industrial equipment, and automotive vehicles. 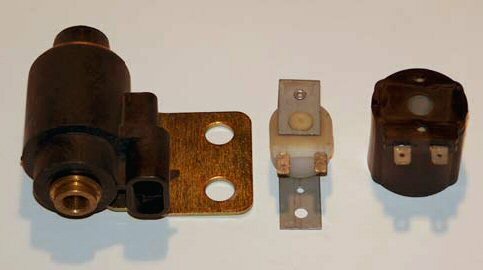 Specializing in unusual and incomparable molded assemblies. 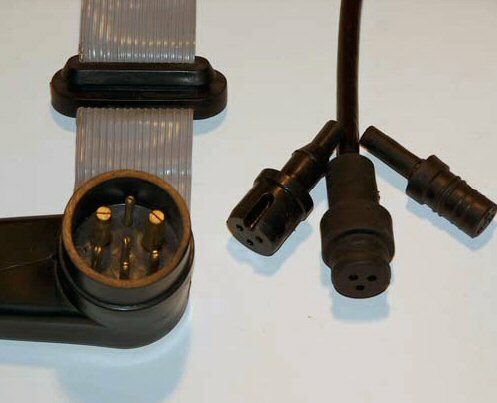 Simplify multi-component assembly operations by having An-Mar Wiring mold them into a single unit. Thermoplastic molding of secondary assemblies and insulated bodies can eliminate welding, gluing, riveting and many other manual operations. An-Mar's capabilities include shot sizes from 2 to 5 ounces. We can help you reduce cost and achieve better quality, without equipment investment. Let us evaluate your options, help you with engineering and produce a prototype. Whether it's taking a standard product and adapting it to your specific application or improving the safety and quality of your product, An-Mar welcomes a challenge. Please feel free to contact us via phone, Fax or E-Mail for a custom quote on your manufacturing needs. A handy 'Request for Quote' E-Mail Form is available for use by clicking on the 'Quotes' Link above. An-Mar Wiring Systems looks forward to establishing a mutually beneficial working relationship with your company.